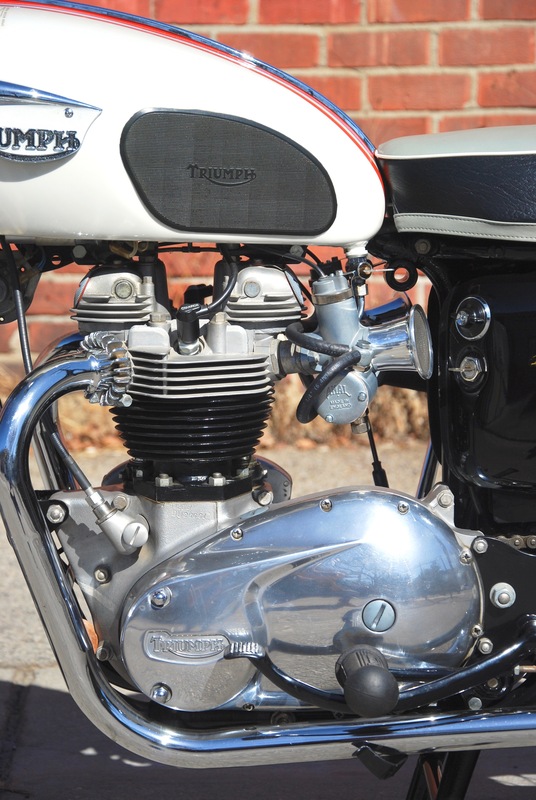 Superbly Restored by Big D Cycles! 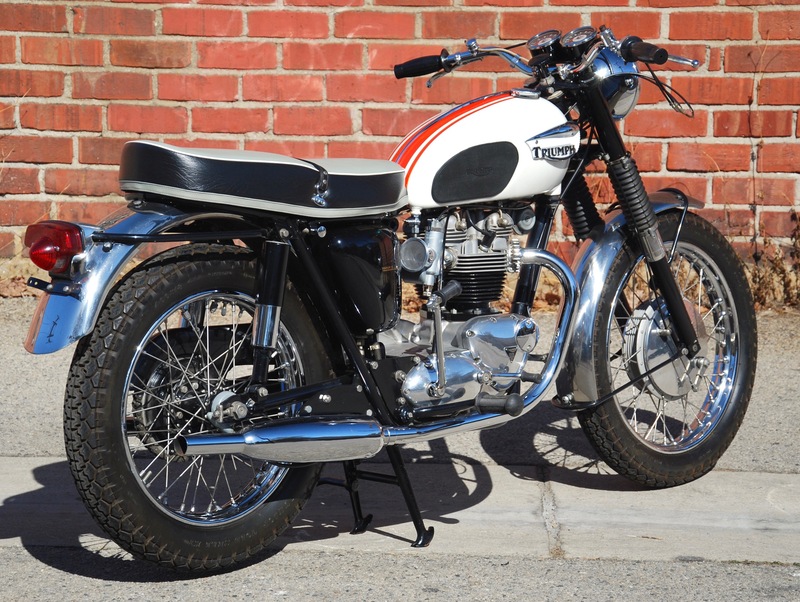 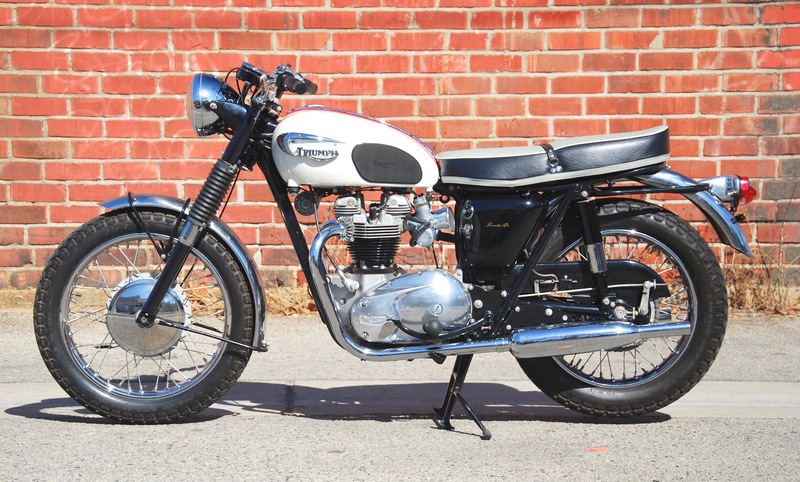 “The famous Triumph Bonneville Road Sports twin carburetor motorcycle is the acknowledged choice of American riders who demand the finest all-round performance and handling. 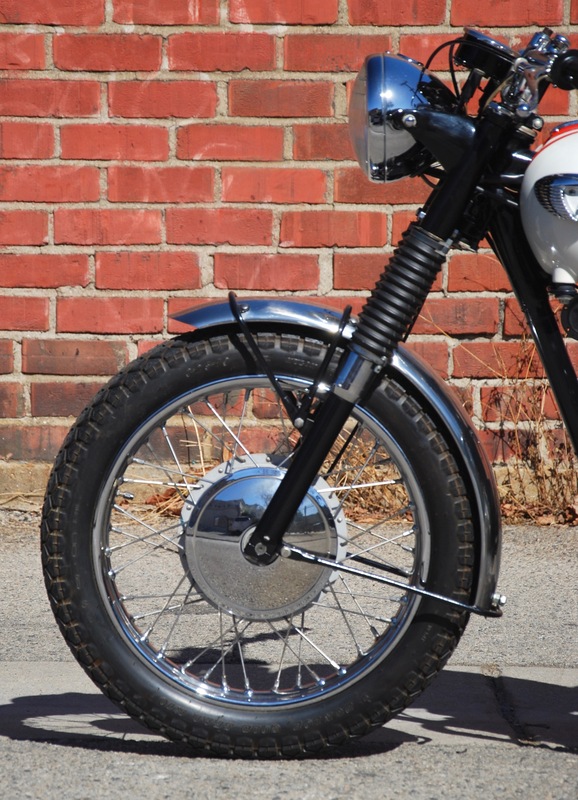 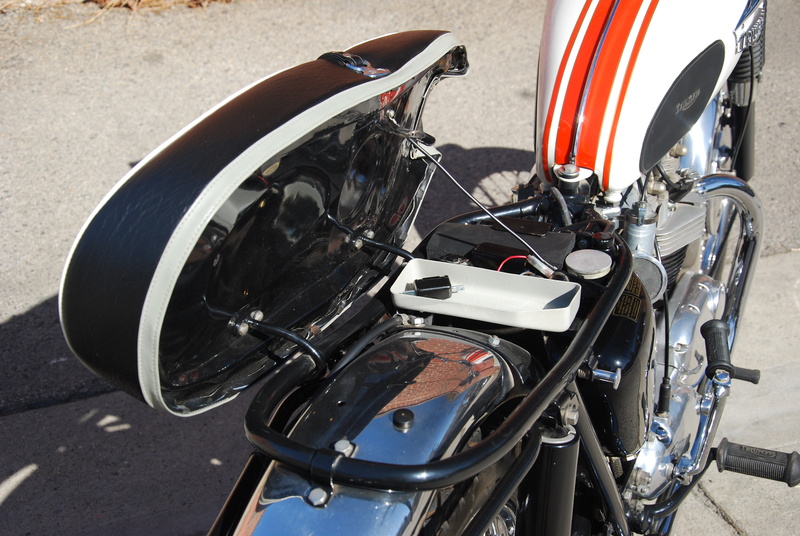 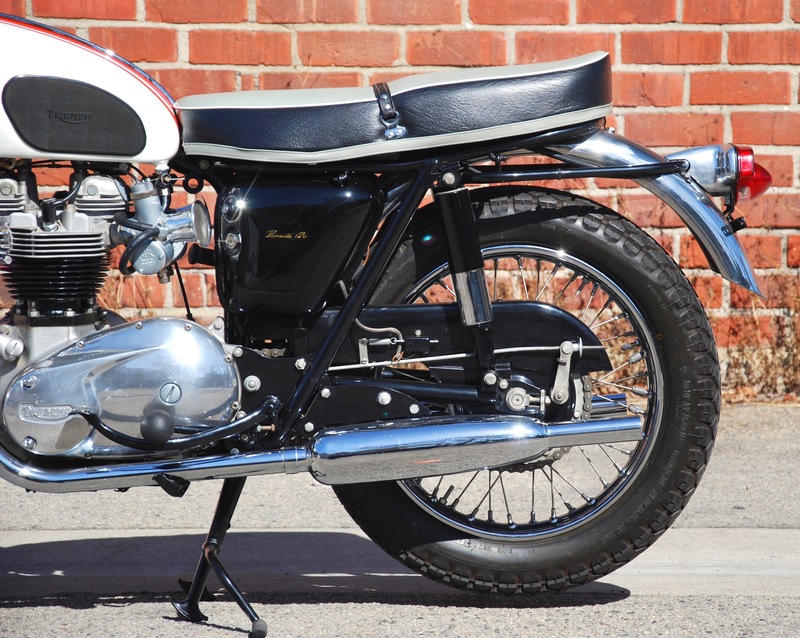 For 1966 the Bonneville features a new sporting look, with small slim gas tank, modern compact tail light assembly and polished stainless-steel fenders. 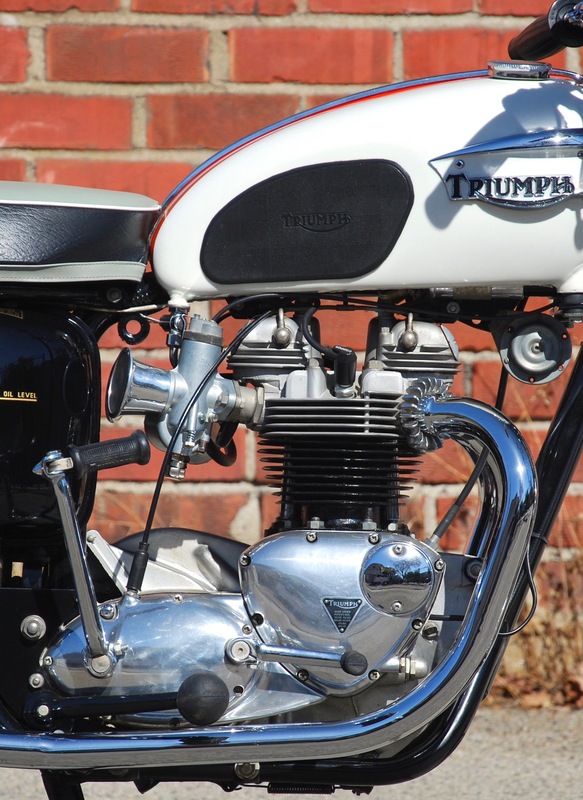 Performance has been further increased, yet it still retains the reliability required by road riders under all conditions.” – Triumph Motorcycle Company. 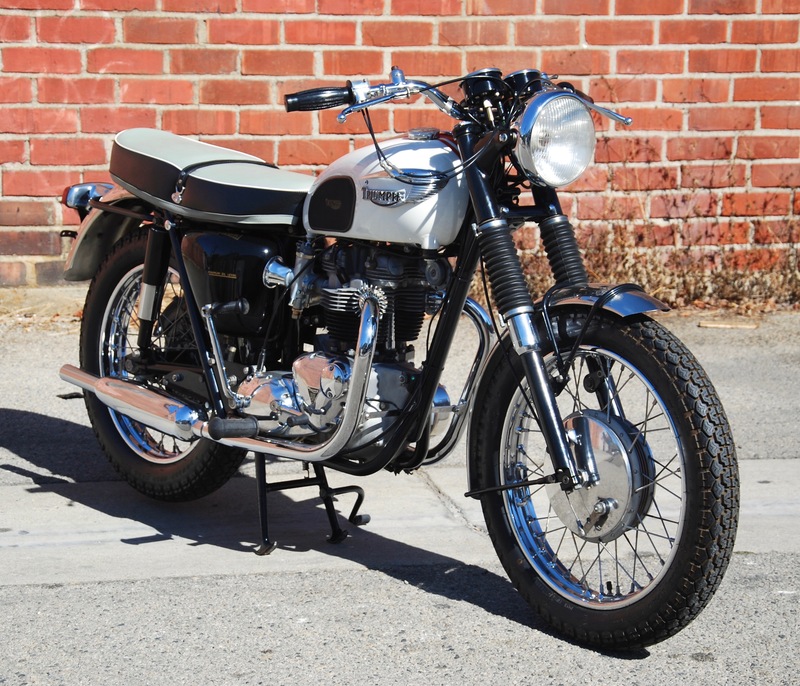 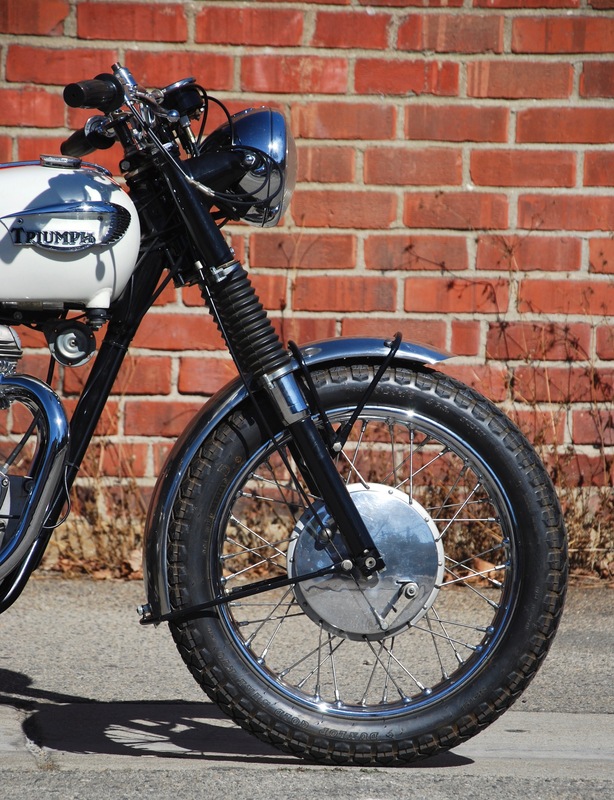 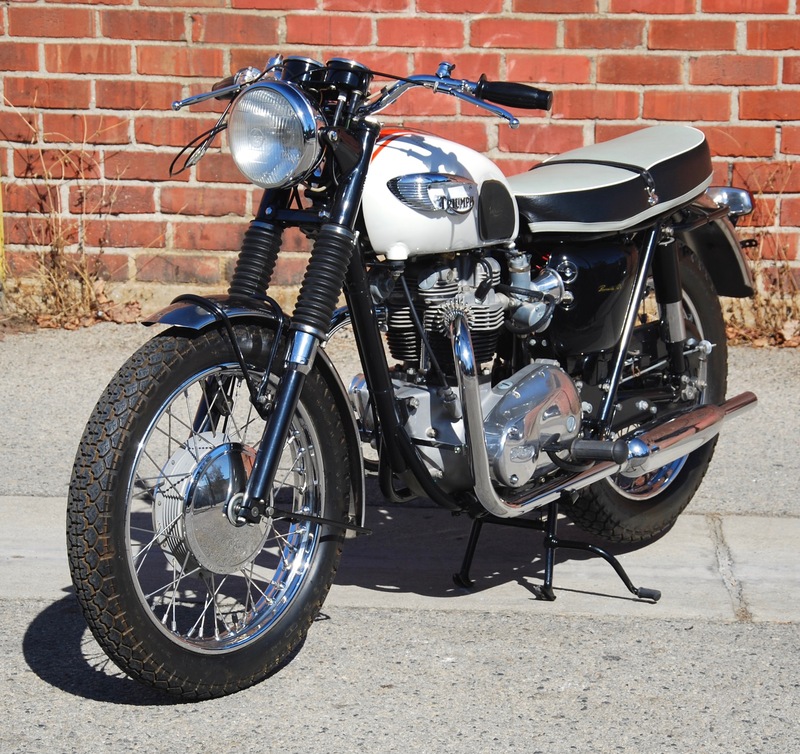 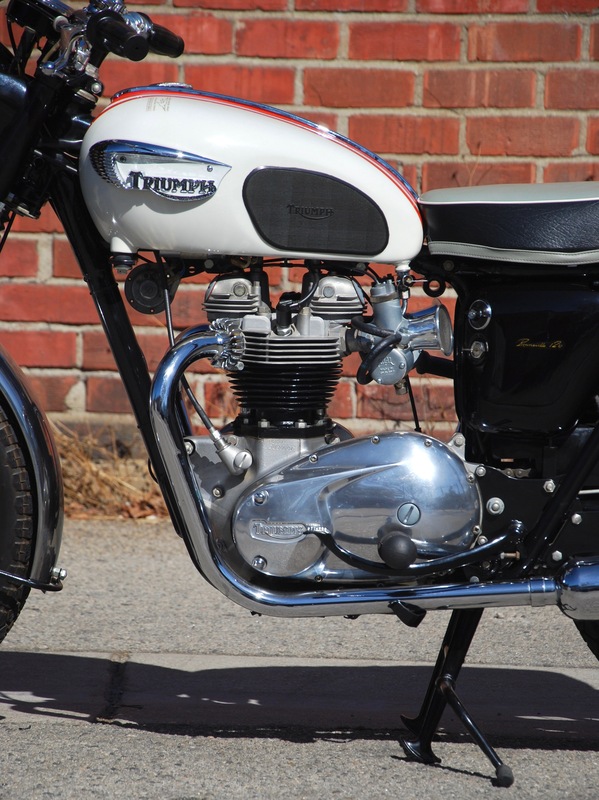 Triumph’s 650cc models had entered the 1960s recognizably similar to the first Speed Twin of 1938. 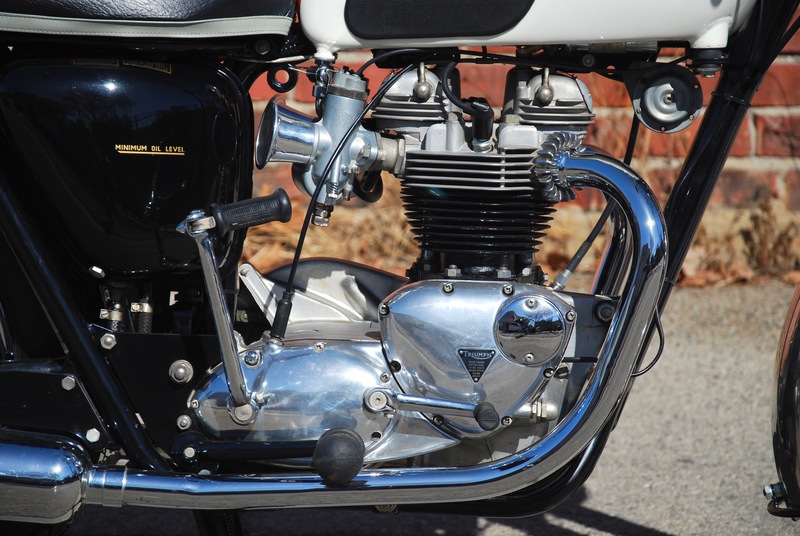 Unitary construction of engine and gearbox was already a feature of the 350 and 500 twins though, and this innovation duly appeared on the 650s in 1963. 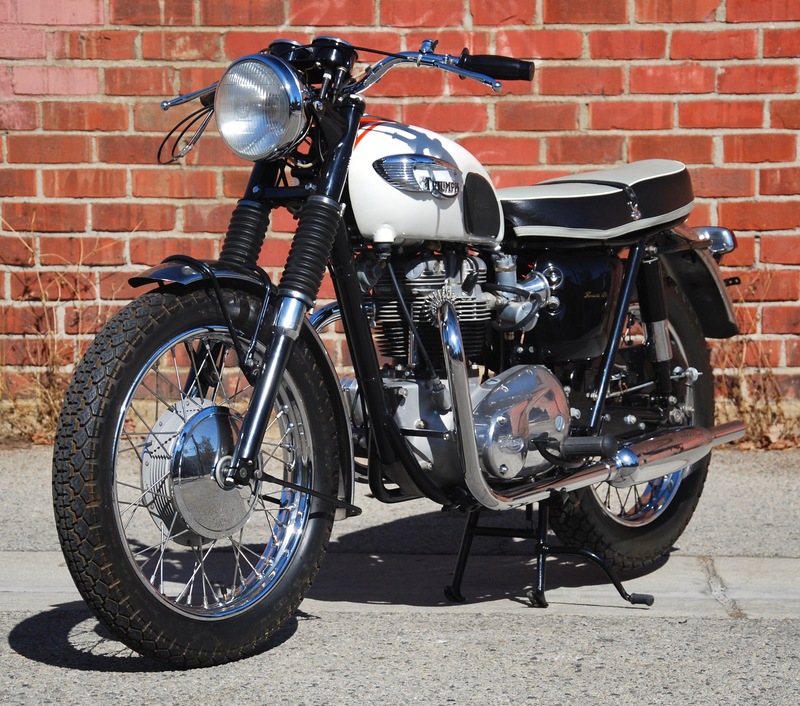 The café racer’s favorite since its launch in 1959, the Bonneville continue in this new form as Triumph’s top-of-the-range sports model. 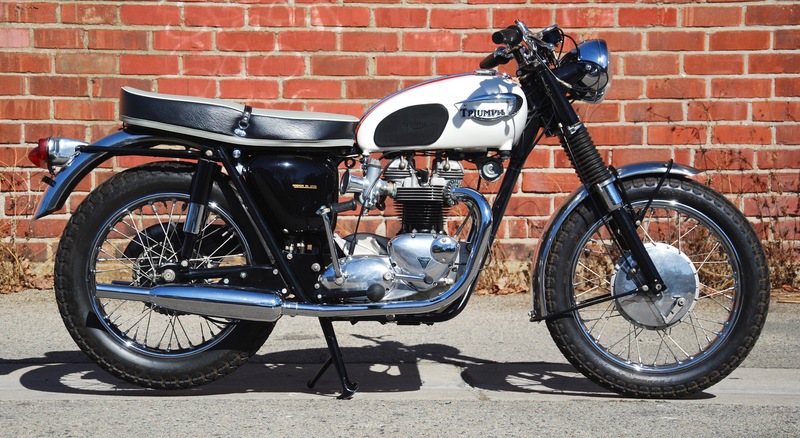 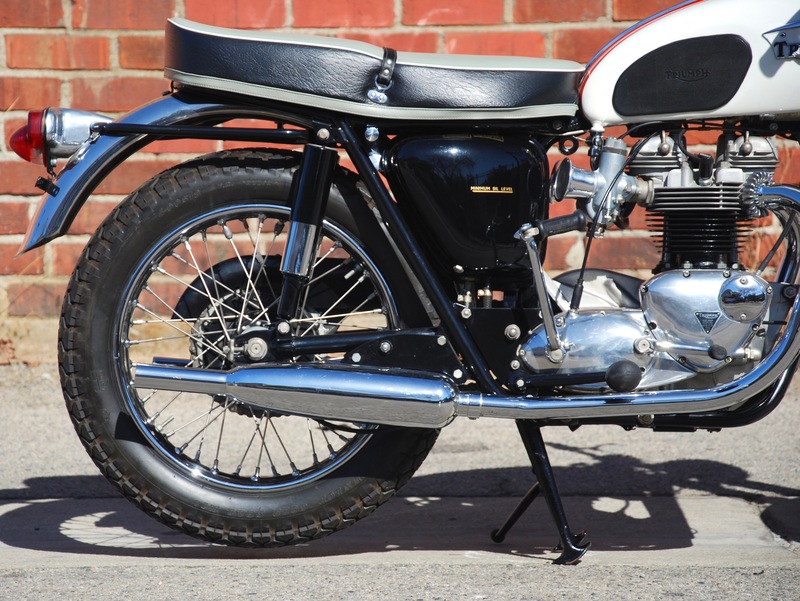 This collectible matching-numbers T120 Bonneville dates from 1966, by which time the handling problems associated with earlier versions had been sorted. 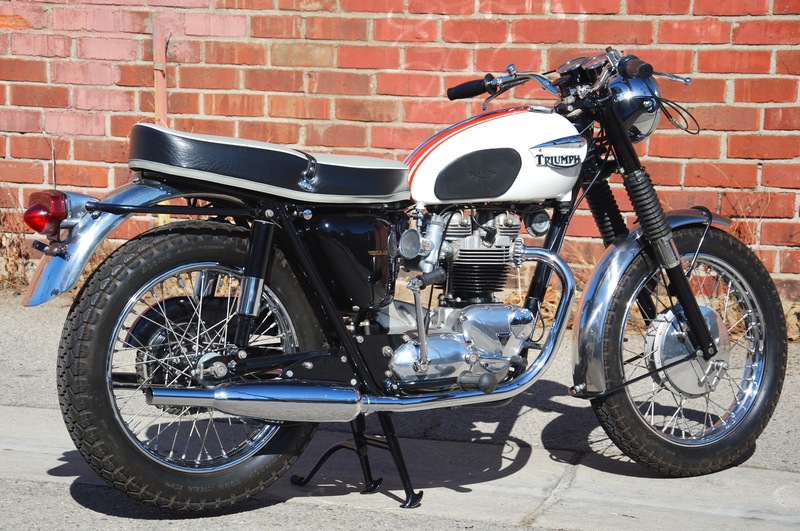 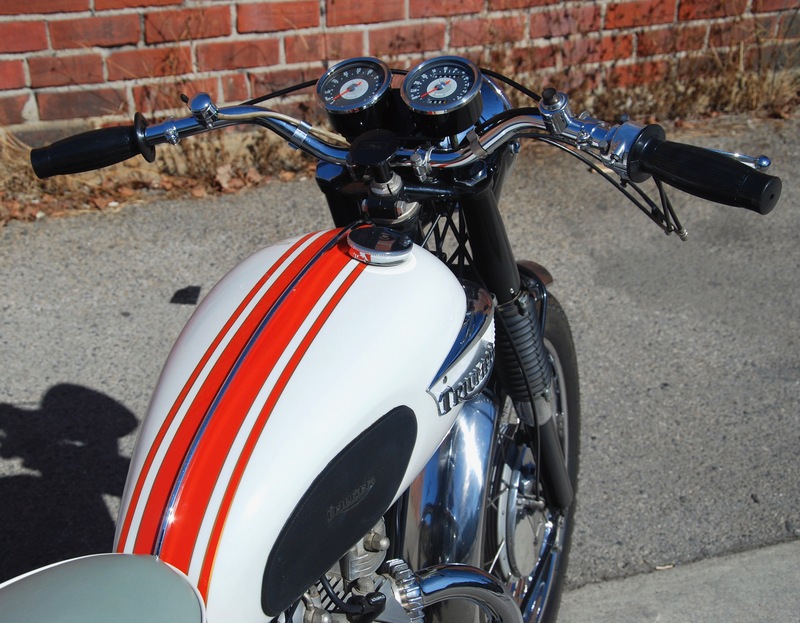 Acquired a few years ago by the present owner, it was fully restored in 2008 by first-class restoration shop, Big D Cycles in Dallas, Texas for a client that wanted a storefront showpiece, so it had covered only a few shake-down miles. 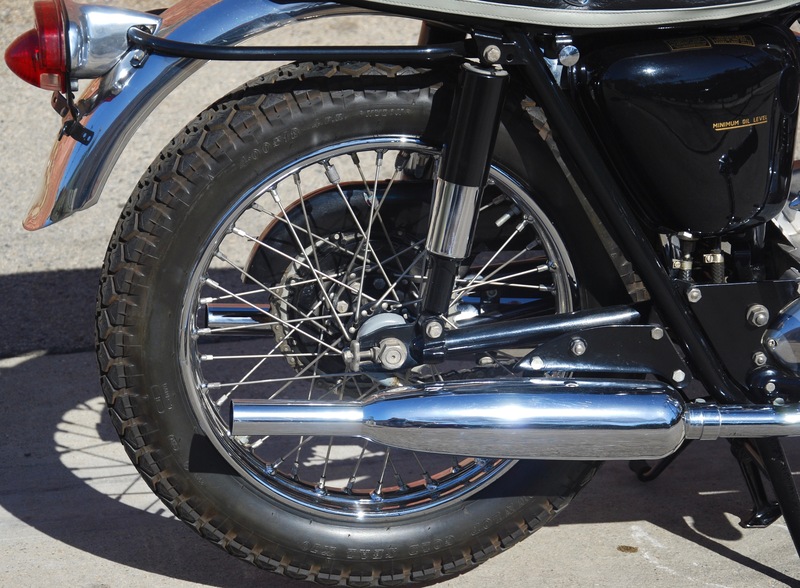 A beautiful restoration that only needed a comprehensive detail and the replacement of a few things that started to show age. 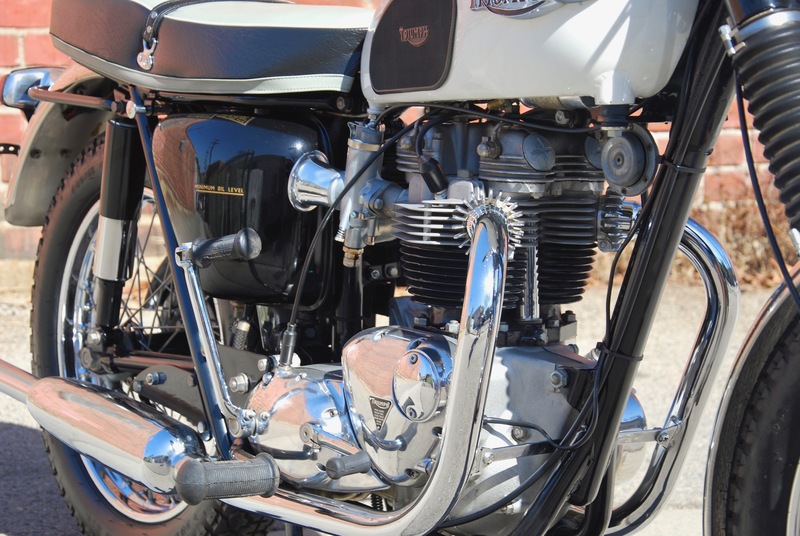 Once all the fluids were replaced, the bike fired right up. 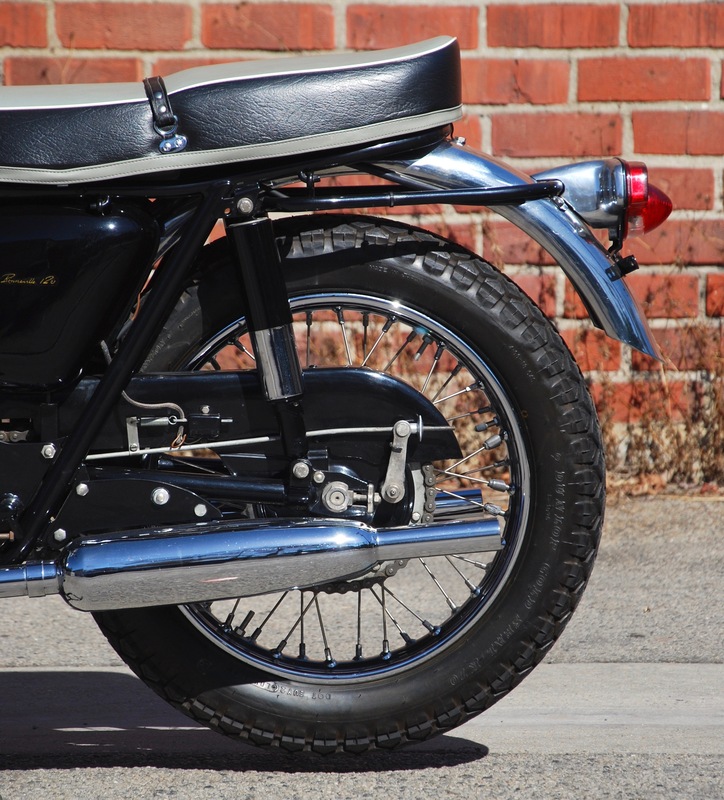 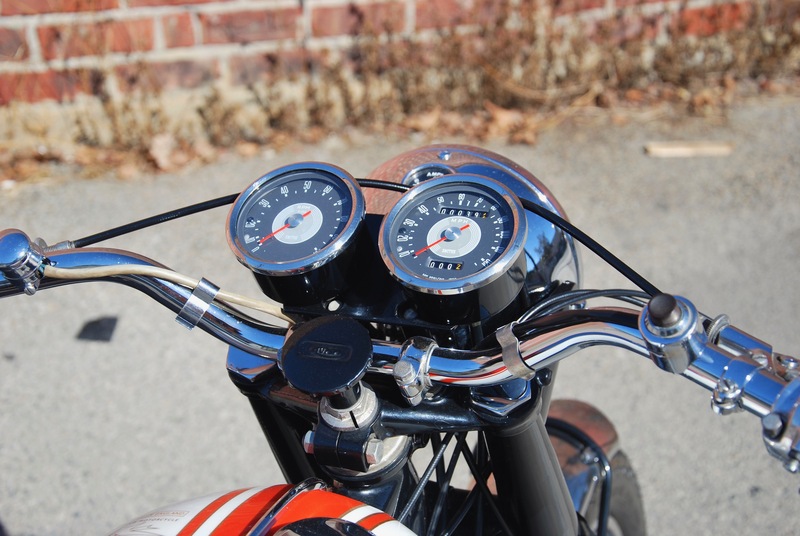 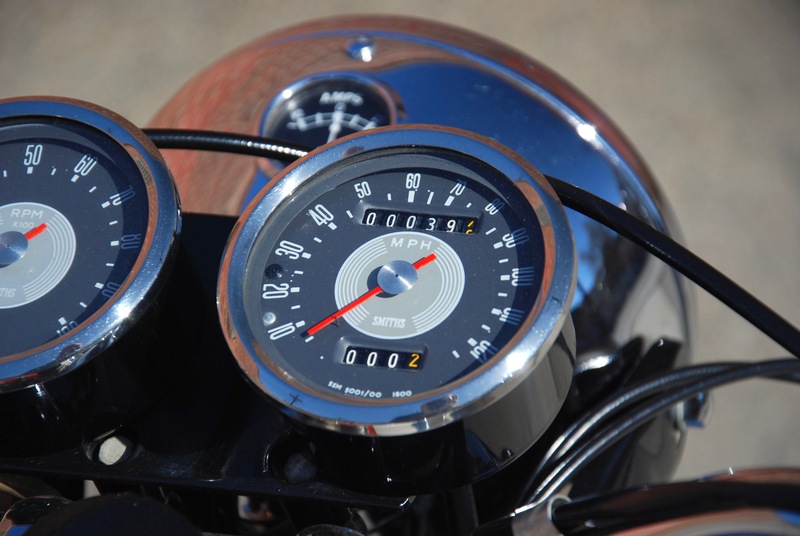 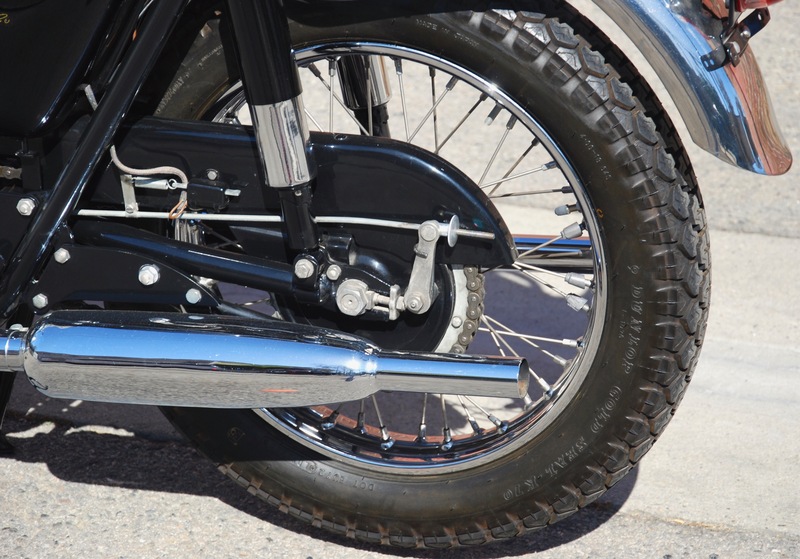 We have just “gone through” the bike and it starts easily and runs perfectly, shifting effortlessly through all gears with a good, light clutch. 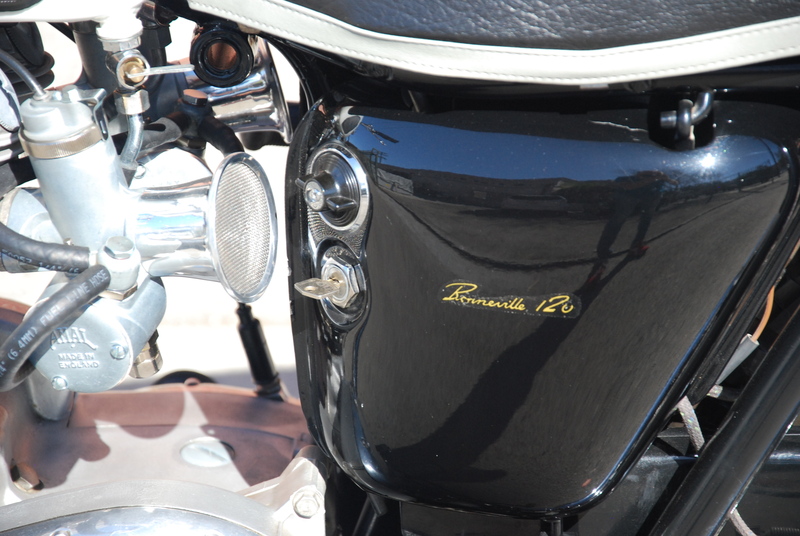 Now, it is not just the show piece presented, but a reliable and fine running machine, ready for any tour or rally.